There are mainly three kinds of Pakistanis now a days. Generalified Pakistanis seen chanting #ThankyouRaheelSharif now a days than there is a second lot who are too democratic and are above it as they see that their ideologies prosper in present day Pakistan. There are is another group of Pakistanis who are “Confused Pakistanis” . These are simply people like yours truly i.e. myself. There are other kinds as well . But let us stick to these three types. Now on a serious note as a Confused Pakistani my dilemma is that it looks like that we have two parallel governments running in the country. The international community also knows that when it comes to security, terror and ancillary issues CALL800GHQ and for everything else like Trade, Economics , Investments , World Peace etc. etc. CALL800PMHOUSE but the question is whether is there anything else which Pakistan can chip into seriously apart from giving assurance to the world on two things that firstly that they would stem the religious terror and their sanctuaries thriving in Pakistan and two that these non state actors will not go and blow themselves up any where outside 796,096 sq km of Pakistan territory as they may not bother much for the almost 100,000 Pakistani lives destroyed at the hands of this terror. With a Rightwing party as I say i.e. PMLN . I think that the world commits a mistake as they have started to ignore the political leadership and especially PMLN who can also coordinate with the same elements they worry about as having close proximity with them . You can only see Gen Raheel Sharif seen all around the world shaking hands, kissing babies and hugging soldiers . He is the man with the cheque book as well as Pakistan’s play book as it seems to me now a days. Hence attracting the world attention. I may have missed the notification where Martial Law got announced . Maybe I was too busy watching the Dharna . The Chronology is very simple which I will try to build but I get further confused as a Pakistani that the same Western government and media practically were instigating democracy in Pakistan at the time of Gen Musharraf but now once when there is a democratic government and that too with a majority in the National Assembly for PMLN and further ratified by the Judicial Commission and than the recent elections in NA 122 conducted in the presence of Pakistan Army . Wonder why they still reach out to non political players. Unless they have given up with the thought of a democratic Pakistan and have resigned to the theory that whilst every country has an Army . Pakistan Army has a country. If that is true than President Obama should have invited Gen Raheel Sharif instead of PM Nawaz Sharif as the delicious Pizza could have been parceled to Pakistan instead and asked the burly new super star of Pakistan a couple of questions . First, thank you for starting Operation in North Waziristan but why is not concluded till now? Second question , are you sure that Operation Zarb e Azb is an operation against Islamic radicals in the country as mandated by Pakistani leadership as it looks very A Political especially in Karachi and that too against a certain community (Muhajirs) and MQM , the third question could be when are you actually taking on the real Islamic radicals in Pakistan who thrive around cantonments and Pakistan strategic assets and if enough time left and last but not the least when are you actually declaring that you are formally taking over Pakistan government since like Danish Kazi and many other confused Pakistanis ; the international community is also confused as to who is actually running Pakistan. Now, I know that this is what also what #ThankyouRaheelSharif brigade wants ; initially personally I was also positive about the guy as an Army chief that he will stem the Islamic radicalization in the country but when I hear statements that there is no existence of Daesh or ISIS in Pakistan (or especially Karachi) when perpetrators of Safoora Carnage , killing of Sabin Mahmud attack on other sects in Karachi and God knows what else as everything gets blamed on a single political party to shove things under the carpet. I lose confidence and respect that either our dear General is misinformed , or he is chosing to ignore or it is maybe just not convenient. Anyways ; think as in Army terms. Its time to achieve not just the Political objective but also the Strategic objective – get the job done as expected of you as the chief or take a decision further . December 2007 : Benazir Bhutto murdered especially when Pakistan Army was in power and interestingly by who – Taliban as claimed . Loss is that one brilliant political leader taken out of Pakistan leadership of a party which is seen as a Left nationally in Pakistan. So two birds taken out by one stone . Backbone of Pakistan Political leadership partially disabled . A National level Left party like PPP put on path of demolition (to be replaced by a Right wing PTI) and third a more convenient leadership at PPP came in power which every one knew will just destroy the faith of Pakistanis further in democracy . Yes, I am talking about the Zardari . 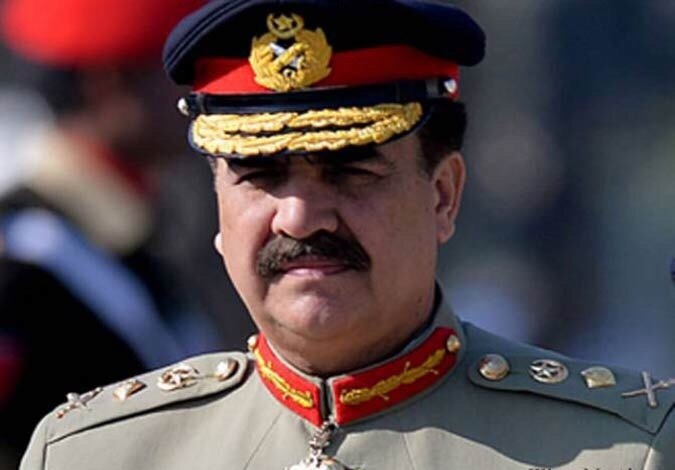 A moderate General like Musharraf overthrown in the first half of 2008 after General elections; using the same forces by establishment where the then ISI chief Gen Kiyani connived as he was to become the next chief ; an ISI chief becoming a Pakistani COAS is a little ironic for the same Pakistan Army who refused to show allegiance to Gen Zia before Oct 12th 1999. Biggest loss for me is that Gen Musharraf who understood Karachi or Sind politics being a Muhajir himself and augmented growth of the city along with MQM; the true stakeholders was marginalized . We saw what is happening in Karachi after that. Mumbai Attack happens in 2008 . Some say that PPP government opened up back door channel of diplomacy with the Indian government . Many hawks didn’t like that why the actual or absolute powers of the country were not taken in confidence. The result the carnage in Mumbai. The accused the same elements ; who still roam freely without accountability. I wonder some time we ask for evidence against these. Why cant they just hear speeches given by elements of LeT and JuD before and after the attacks? Enough reason is there to place them but than again who will like to unrattle the saber in Punjab as currently it is KPK or Karachi problem. Creating of elements in Karachi after hundreds of thousands of refugees migrated towards Karachi after commencement of Swat operation ; unfortunately in order to give some resting areas for those fleeing the conflict or tiring of fighting . Karachi ; the hub of Pakistan economy was targeted as some in establishment wanted to neutralize MQM there. Created a new nexus between Baluchs and Pathans (i.e. People’s Aman Committee & ANP & Taliban & ASWJ & JI & SSP etc) . Bloodshed commences in Karachi majorly effecting MQM. Some were not happy to see the progress MQM made in Karachi and wanted to neutralize it. Best was to create conflict and blood shed so that they attempt to create a vacuum in the city. Looks like the Right Wing element in Pakistan were not happy to see the Left parties taking over Pakistan i.e. PPP, ANP and MQM in the center and Sind , KPK and Baluchistan. They were feeling left out . Something had to be done. Wedges needed to be driven. Weaker points exposed. Gen Musharraf who left a positive legacy on many Pakistanis and built Pakistan along with non adventurous Pakistanis and their leadership like Mr. Altaf Hussain wanted to come back to Pakistan in the beginning of 2011 and land in Karachi basing hopes of support from MQM and the Muhajir community; hoping to launch himself for the 2013 upcoming elections as he felt that he can fill in the creating vacuum and than he was approached by then ISI chief Gen Pasha and persuaded for not to come at this stage . Gen Musharraf trusting his fellow army man believed him chose not to go and made the biggest blunder of his independent political career. Still reeling from it. Meanwhile; whilst Punjab flourishes under Sharif’s rule. Chaos builds up and continues both in KPK and Karachi . Suddenly the world wakes up to the news that in May 2011; Osama Bin Laden got discovered barely a stone’s throw from Pakistan Army’s Academy in Abottabad. President Zardari throws in the spade and writes an article in US press . Questions raised on the credibility of Pakistan Army already reeling from botched up operation in KPK, Mumbai Attacks, Gen Musharraf ouster and than this . Something had to be done to reclaim. Suddenly out of no where end of October 2011 . PTI is re launched via a rally in Lahore. Some say that Gen Pasha who was struggling to keep on his credibility after OBL incident throw in PTI trump card instead of Gen Musharraf’s APML (practically stabbed Gen Musharraf in the back) to some how get his extension. But not extended in March 2012 barely a year before next elections as the political leadership senses the brewing game played by then then ISI chief. Using the chaos in Karachi PTI was thrusted in as the next option. Proof of which is that all the touts developed under the Intelligence forces in Karachi like People’s Aman Committee, Haqiqi, JI, ASWJ , Taliban and even ANP (Karachi chapter) reeled behind Karachi but still manage to win only one seat of the 20 seats . Mission failed. Further, PTI get the beating after so much support from media, investment houses, establishment etc etc. PMLN wins the center . Political objective failed for the likes of Gen Pasha in my opinion. Not giving up Sit in’s started to put pressure on Nawaz Sharif government which came in assembly with absolute majority whose wounds from Oct 1999 were still not healed and started to hit on Gen Musharraf (who returned after General Elections) and his Ministers starting to tighten the noose. Gen Kiyani whose brother was being named in corruption cases was seen on the back foot. Now for some out of the blue reason . Generals when generally overlooked resign. Strangely , Gen Shareef stays on to take his chances once Gen Kiyani retires ( I am sure there was some backing from the West as someone promised an operation in North Waziristan). Took over few months before the Sit in’s. PMLN government plays their political cards well and hang on. Stalemate till unfortunate APS school Peshawar massacre in December 2013 where a Carte Blanche was offered to the Army Chief and the opportune moment to set his foot in Pakistan and international politics. Sometimes I think that whilst the kids who lost their lives. PMLN government won as they remained in power as Sit in ended. PTI won as their sit in lost the steam and they were looking for a way out and lastly Pakistan Army won as they got their Carte Blanche . Very very coincidentally it was again Talibans behind this attack . Wonder will we ever know the truth. As I wrote in my last blog “ Is China cooking Manchurian in Karachi?” . With PPP marginalized and ANP obliterated. It was only MQM the last left party remaining in control in Karachi and Urban Sindh needed to be taken out of the play is seeing more wrath in Karachi with extra judicial killings, illegal detentions, clamping on political and charitable activities. I sometimes feel that Gen Raheel knows that unless he takes care of MQM . He can never gain control of Pakistan as though the upheaval in Baluchistan and interior Sind persists. MQM has turned out to be a tough political opponent which persist with their leader Mr. Altaf Hussain and doesn’t seem to surrender. Now he is trying his best to play the RAW and the India involvement card to find a dictatorial reason to clamp MQM politically but looks like some in the establishment has forgotten that its not the 90’s ; the stakes of the game is very different . Our opponents stronger. The world is much smaller. The players in the Pakistan game of cloak and daggers more exposed. Any ways ; I think that Nawaz Sharif knows that he is next as there cant be two Right Wing national parties at the center and with PMLN and PTI both in the game . There could be one. He knows his turn is next as he hangs on to MQM and do not want them to resign knowing the political possibilities once MQM exit the arena being the only party who stood up to the establishment game looking in the eye. Meanwhile, whilst the ruling party is left to handle a confused leader in form of Imran Khan who come everyday to confuse us more . The opposition fighting each other with MQM and PPP at loggerheads in Sind as I personally feel that PPP stabbed MQM many times in the back out of necessity or out of its nucleus of some of its leadership, Taliban issue still not resolved and now seeing a more ominous threat of Daesh and ISIS . Some in the establishment has played the cards of creating chaos so well that has given so much room for #ThankyouRaheelSharif to flourish. I feel that it may persist. The only question I sometimes ask is that does our political leadership genuinely and I mean genuinely feel that of all the money and resources spent. Have the goods been delivered. I agree encouragement is good but accountability is good equally and I mean equally for every one. I remain confused till date and would be till the time that Pakistani establishment and their guardians will not hit in the bud of these Islamic Radicals who were against the formation of Pakistan in 1947 and even called Quaid e Azam Muhammad Ali Jinnah “ A Kafir” ; killed almost 100,000 Pakistanis, played football with the heads of the soldiers, martyred many young officers and soldiers, destroyed billions worth of state and defence assets. I will remain confused General Raheel Sharif and who ever succeeds him that till the time these elements are not routed or marginalized, until their facilitators or “ Sahulatkars” as you say not prosecuted like PTI and JI . Unless non state actors not quashed. I will remain confused along with 180 million Pakistanis because all of us know that whilst you have all the right to manoeuvre but till you do the above . Your sincerity to the vision of Quaid e Azam and the constitution of Pakistan remains a question mark. I wonder have you ever thought that your martyred uncle Maj Aziz Bhatti and brother Maj Shabbir Sharif laid down their lives defending Pakistan of Quaid e Azam or a Pakistan of Talibans and their touts. If you think of sincerely than you will see the true enemies and Muhajirs instead of being traitors who sacrificed for the formation of this nation will look like allies which you sincerley need and those after you to keep Pakistan in line with Quaid’s vision and nothing else. Till that time your thoughts don’t clear I cant chant #ThankyouRaheelSharif just to please you as a Chamcha but would remain confused. Pakistan Zindabad! Previous Post Previous post: Is China really cooking Manchurian in Karachi ?